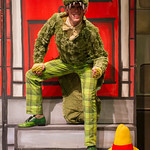 This Children's Theater production ran throughout 2014. 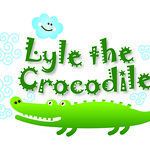 When Lyle the big green crocodile turns up in the Primm family’s bathtub nobody quite knows what to do. Lyle’s singing and dancing soon wins them over and the Primms invite him to stay. Their neighbor, Mr. Grumps, and his equally grumpy cat, are not happy. They lock the talented Lyle in the zoo! 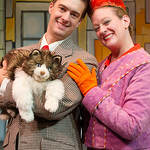 Don’t miss what happens next in this delightful musical tale. 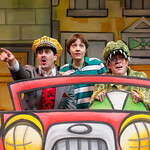 Based on the popular book series, this production is suitable for kids of all ages. Used by permission of Curtis Brown Ltd. Copyright ©1987 All rights reserved. 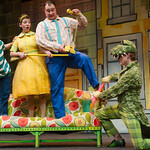 Dec 18 Thurs 10:00 a.m. & 12:00 p.m.
Dec 19 Fri 10:00 a.m. & 12:00 p.m.
BWW Reviews: The Arvada Center brings Childish Glee and Delight in LYLE THE CROCODILE!